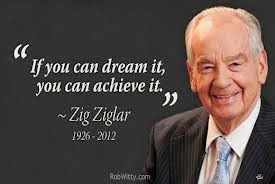 Zig Ziglar would say, "if you want to hit a target, then you need to know what you are aiming at." What you do next is counter intuitive. Want to really set the world on fire? Rather tan begin by scheduling all the important tasks that need to be completed each day, the first thing first thingh that you schedule time for each day are the things you enjoy doing. For example, a friend blocks out time to go to the gym, play with their dog, or spend some quality time with their Significant. Once you've scheduled the "me time" for the day, then you shoud be ready to schedule all your other tasks. There are some really big advantages to starting by scheduling the fun things onto your schedule each day. By scheduling the fun things onto your schedule first each day, you are providing the motivation you need to get everything else done. You know what you really enjoy, and when you are going to do these things. However, you need to complete your required tasks to be able to fully experience the fun things you already have scheduled. These pleasurable activities act like a carrot on a stick to motivate you to stick with your other plans.